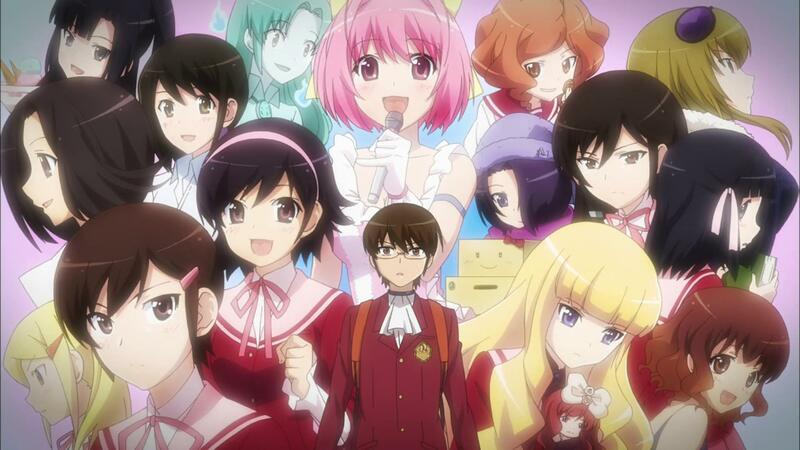 The God of Conquests returns to once again win his way into the hearts of young girls and goddesses everywhere in Sentai Filmworks' latest acquisition, The World God Only Knows: Goddesses. From original creator Tamiki Wakaki (Weekly Comic Magazine SHONEN SUNDAY), Goddesses is directed by Satoshi Osedo (Bodacious Space Pirates [as episodic director], Hajime no Ippo: New Challenger [as episodic director]) with series composition by Hideyuki Kurata (The Fruit of Grisaia, OreImo), music by Hayato Matsuo (Hellsing Ultimate, Magic Knight Rayearth), and animation production by manglobe (Broken Blade, Ergo Proxy). This time, he is to capture the ancient Heavenly Goddesses, the Jupiter Sisters. Keima Katsuragi and Elsie have previously captured fourteen girls. Among them is his childhood friend Tenri, within whom resides the Goddess Diana. In order to assist in the capture of Diana’s five remaining sisters, Haqua is assigned as a buddy. Given a deadline of one week to save a certain girl, and to save the Human World itself, the Knight must rise again! The World God Only Knows: Goddesses will be available soon through select digital outlets with a home video release to follow.